A process more than two years in the making, is finally coming to fruition. SLSD has added 4 new buses to our fleet from a grant that was approved back in 2016. Via this grant, our district paid for the cost of just one bus and the grant covered the cost of the other 3 buses. This 75% discount is better than what most of us probably saw on Black Friday sales this year and netted the district over $250,000 in savings. 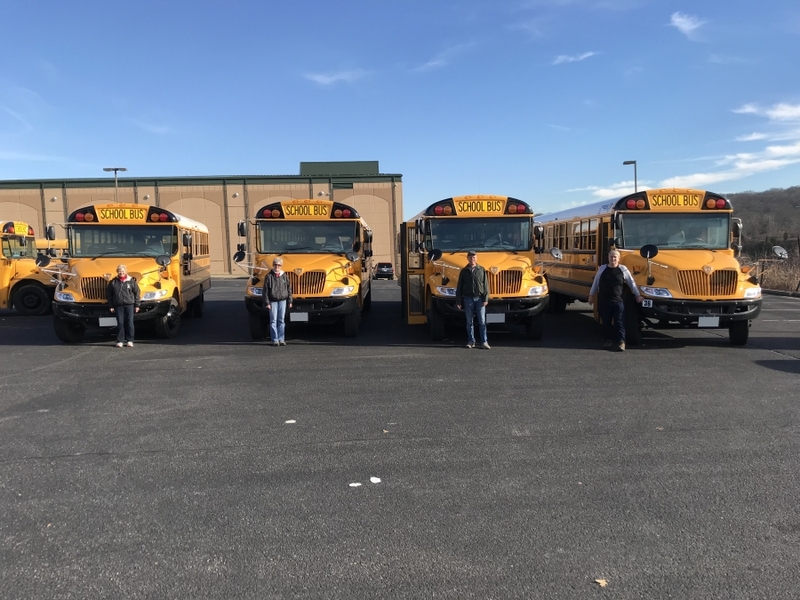 With the state no longer supporting the purchase of new buses from a financial perspective, this money is a tremendous benefit for our district as we attempt to update an aging fleet of buses. Our school bus fleet is one of the oldest in the state of Ohio. While most school districts will replace buses once they hit 8, 10, or 12 years of age, SLSD had an average bus age of 14.91 years old coming into this year. SLSD has 21 of our 31 buses over the higher 12-year threshold that districts use, and 12 buses over 20 years old! With that in mind, a primary goal this year is to update our fleet, reducing maintenance costs that are well above the state average due to the age of our buses. This is not an easy task when the district is already trying to cut money from our budget. We have explored the used bus market, already purchasing one handicap bus to replace a bus that is no longer serviceable, and will continue to look for “younger” buses to replace our oldest and least efficient vehicles. Additionally, we will be applying for new grant money that is slated to come available later this year. As evidenced by these four buses though, this is not a “quick” fix as it often takes multiple years to get the new buses and access grant funds. Though our buses are old, our current drivers and mechanic take tremendous care of our fleet – which has allowed these buses to continue running well past their recommended service life. These old buses are far less efficient than new buses, so one option may be to use any savings that we would see on maintenance, miles per gallon on fuel, and other efficiencies towards the purchase of new buses as well. One of our district goals for this year is to find additional efficiencies that would save our taxpayers’ money moving forward. The purchase of new buses may be an area that qualifies in that regard. Look for more information on that topic in the coming year as we study our costs and look for ways to be more efficient.